As one of the nation’s fastest growing health care EDI providers, Gateway EDI offers simple solutions to complex electronic connectivity challenges. Their technology improves your efficiency by automating key business functions. From standard claims processing and status reports to sophisticated technology for flagging rejected claims, They’re there for you. 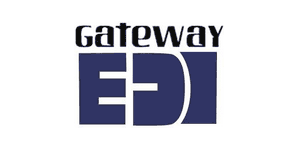 Gateway EDI is the premier electronic data interchange (EDI) provider serving today’s health care industry. Since 1983, they have dedicated ourselves to offering accurate and timely processing of transactions between providers and payers. And they do it very, very well. They serve more than 9,000 offices in 50 states and Guam. They transmit claims for more than 40,000 providers and that number is growing rapidly. They submit to over 3,000 payers across the country. They process over 15 million transactions monthly. Their customers, using our tools, have lowered their average overall error rate to only 7 percent. 98 percent of their customer service calls are answered directly by a real person. 92 percent of the time customer questions are solved on the first call; 100 percent are solved within five days. Accessible staff training – in your office or theirs. Telephone support 24 hours a day, 7 days a week. Responsiveness to your telephone calls: 98% of all calls are answered by a customer service representative when you first call. Close monitoring of claims transmissions to minimize rejections and shorten turn-around time. Assurance of clean claims arriving at the payer: They own the responsibility for ensuring all clean claims we receive reach the payer.